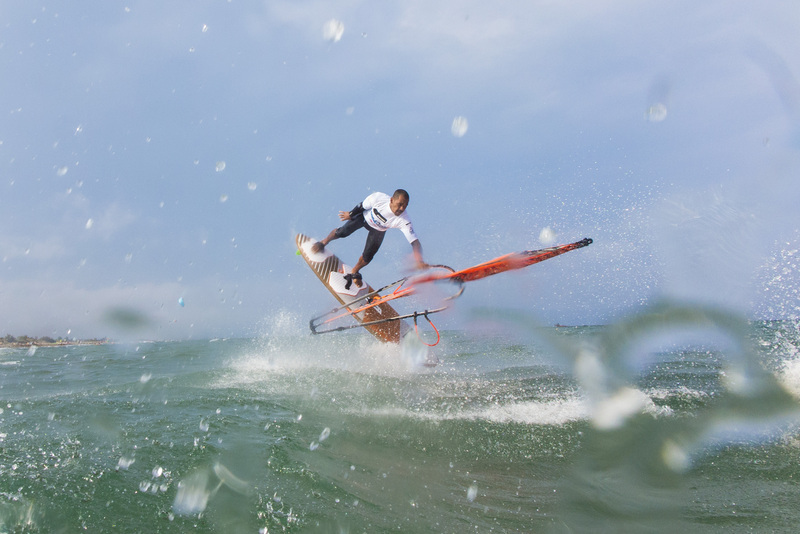 For the first time in the history of the European Freestyle Pro Tour, an event is staged at the famous windsurfing beach of Costa Brava in Spain. 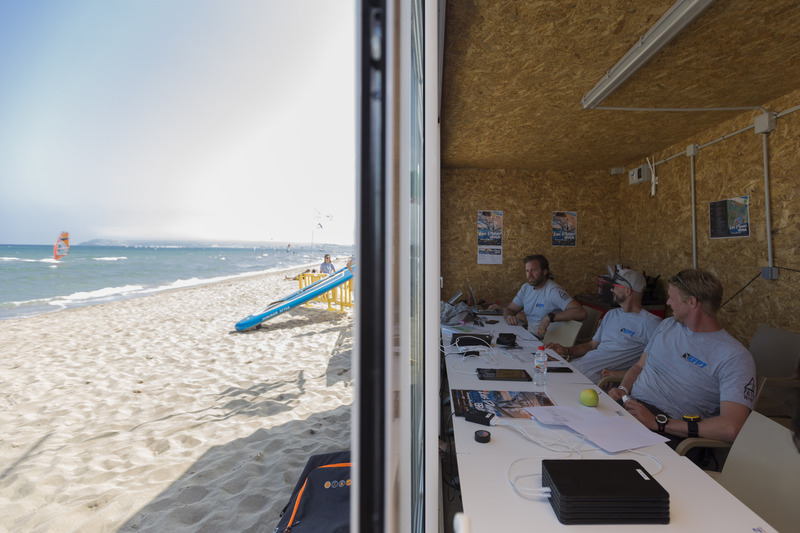 Camping Las Dunas, one of the top camp sites in all Europe, together with Fase Wind Center are providing the perfect infrastructure and are hosting this 5-Star EFPT event. With the penultimate event of the season the title race is getting into its more serious phase and all the top riders are signed up to grab important ranking points before the tour moves to the final event in Brouwersdam, where the 2018 champion will be crowned. All the local crew and staff of Camping Las Dunas, Fase Wind Center and others involved in the event organisation were welcoming the EFPT riders and crew with an overwhelming amount of hospitality. Everybody around seems to be stoked to have an European Freestyle Pro Tour competition happening here for the first time. After registration the first official skippers meeting of the event was held at 12.00h with the first possible start scheduled for 13.00h. For a lot of the competitors it is a first time visit to the spot of Costa Brava. There are two main wind scenarios that effect the bay of Roses. Mostly it is the thermic wind that picks up nearly every sunny day in summer and blows cross onshore from southeast direction at the beach of Las Dunas, that provides constant conditions for bigger sail sizes and warm temperatures. But also the famous Tramontana wind which blows strongly from the Pyrenees mountains in the north, can please the windsurfers in Costa Brava with sideshore conditions for small kit and colder temperatures. Despite a good forecast for thermic winds on the first day, the sky kept an overcast from the morning hours on and prevented the winds from picking up properly. The conditions remained under the suitable windlevel for a freestyle competition. Loick Spicher (RRD/RRD) and Valentin Böckler (Gun Sails), who are up against each other in the first heat, went out testing on their bigger gear but could not get planning really, only with the hardest effort from time to time. Steven van Broeckhoven (JP/Gun Sails) decided to jump on his foil race equipment and had some runs across the bay. With the wind slowly but clearly dropping a couple of riders went on the water at 17.00h for short tow-in training session. Mattia Fabrizi (Patrik), Giovanni Passani, Tonky Frans (RRD/RRD) and Adam Sims (Patrik/Sailloft) busted out a couple of moves in the small chop with jetski assistance and it did not take long that all the spectators from the beach gathered around the judge tower, cheering for each move and getting a glimpse of the action that is going to happen during the next days here at the EFPT Las Dunas Costa Brava. 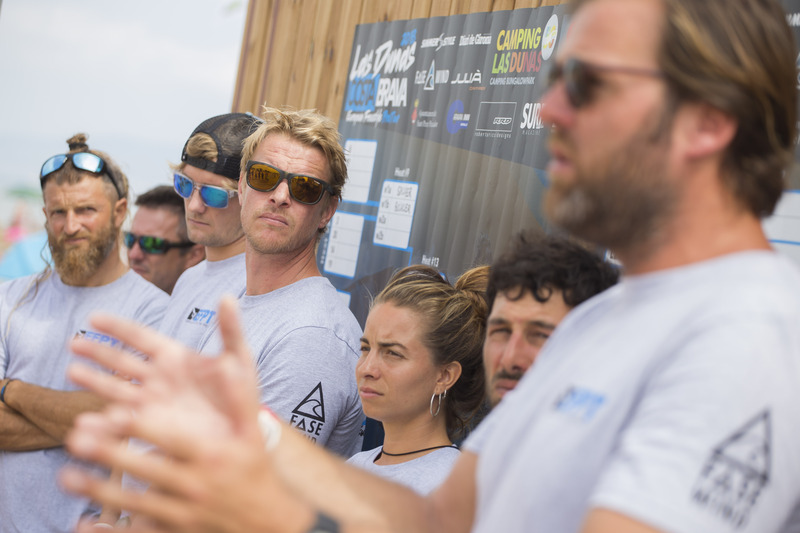 Tomorrows skippers meeting is set for 10.30h and it is planned to kick off with the first tow-in qualification round before the wind usually picks up in the afternoon and we can get into the first freestyle heat of the event. The title race is on, who do you think will take the 2018 European Freestyle Pro tour overall title?